Pirelli will be releasing a 225/45-16 P700-Z, pending approval from BMW. I've had few good experiences with Pirellis - they just don't seem to last on a low use car. Either they crack, are very prone to flat-spotting or just go hard. My Z1 has 15 year old Goodyears that look like new. They get carefully inspected every year for cracks etc and are just fine. And they still seem to stick like the proverbial to a blanket. Hopefully tech has moved on to the point we don't see a repeat of that, but its good news as one of the questions that regularly pops up, is there a premium brand tyre for the Z1, looks like we are going to have one. Why do Pirelli need BMW's approval to remanufacture one of their tyres when new P700-Z are already available ? Do BMW have a veto on the tyre size? Whoever bought this will probably need a new set of OEM P700-Z tyres. Given Felix experience I am not sure I would want to drive the car which is still on its original 28 year old tyres. Manufacturer approval gives them a star marking, officially recognised and approved for use. Douglas at Longstone Tyres spent a lot of time talking to Pirelli regarding the reintroduction of period sized Pirelli Cinturatos and, very recently, the 15 inch P700-Z for the Audi Quattro boys. Maybe they will add the Z1 to their classic BMW list. first of all I don't understand who needs an 30 year old tire design, but anyway I'm a "tire- and grip-fetishist" and change my tires when they lost grip in the wet (so my tires are changed after 4 max. 5 years). I think safety should be much more important than design and can't believe that a remanufactured 30 year old tire design is better the design of today. You are right, the star marking shows that a tire is manufactured exclusive for BMW (at Mercedes tires you find the letters "MO"). But the composition is also special made for the car makers. Mostly these tires are optimized for reducing the fuel consumption and noise and raise up life time. But all of these characteristics are reducing the grip. For example, the German ADAC (in UK it's the AA) tested winter tires. Best was a Continental tire. In that test session they also tested the same Continental tire with "MO" mark and it was one of the worst. At my Z1 I have mounted the Yokohama ADVAN Neova AD08 R and it's the perfect tire for me… It has a very high grip level, is well tempered when you reach the limit and it has good rain performance for a UHP-tire. The performance of that tire comes really very near to a real semi slick, but it cost the half and it's better in rain. Men of steel driving cars of plastic! Sorry, for my poor english... schooltime is already a few years ago, but I try to do my very best! Interesting interview on classic cars and new "older style" tyres, with Pirelli content. Michael, interesting and good choice of Yoko AD08 R's for a Z1. They are very popular with Lotus Elise / Exige people and I will use them to replace the current Yoko AO48 LTS semi slicks on the Exige S, which will be soon as they only last 3k miles a set. The AO48 LTS are great for track days but overkill for dry road use, and are simply nasty in the wet, they are one of the few things that make my bum pucker. 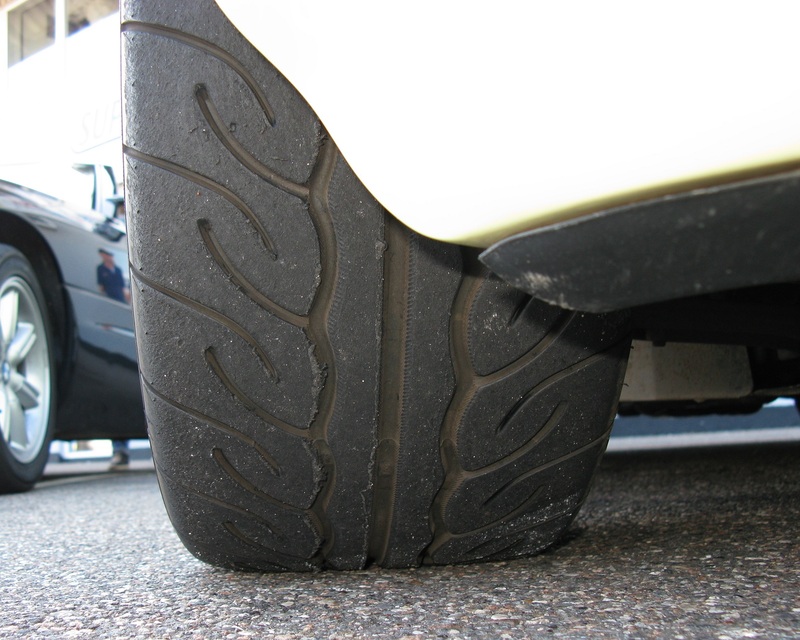 The Z1 is currently on a set of the last Continetals which replaced the Goodyear Eagle F1 "arrow head " style tread pattern, both of which are no longer available. J, any news on when the Pirellis will be available ? 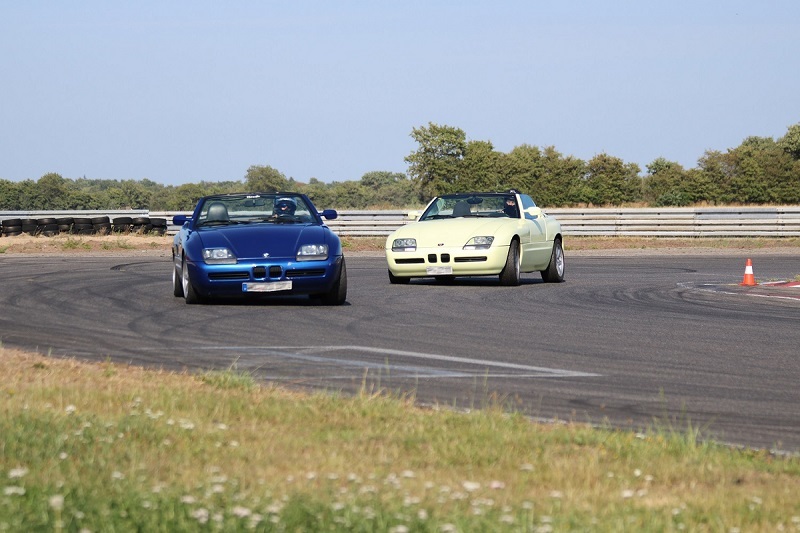 a few years ago I had a second set of wheels with semi-slicks (Bridgestone RE-540) for my Z1, that I only used at track days events. But the difference between the semi slick and the AD08R is not so big. The RE-540 is a little bit more non-problematic at the limit range, but the grip level is nearly the same. So it makes no sense to buy the expensive semi-slicks for a few hours on a race track. I tend to agree with Felix Re Pirelli. Never really liked any of their tyres that I’ve had. Used P700-z on my old CRX and they were ok but every time I’ve had a bmw with them fitted they have been a disappointment.